Looking for reprieve in beautiful spaces? The hustle of everyday life can wear you down in the best of times, but lately things have been…shall we say…unpredictable, and stress levels have spiked. From political unrest to natural disasters, the world is facing some trying things, and we’re right there with you in craving a peaceful retreat and a good place to relax. When burdens begin to feel particularly heavy, it’s time to take a real break. You may need to go, not where everybody knows your name, but somewhere to soak up nature’s wonders and revel in serene solitude. Turn off your phone, take a breather from the latest news cycle, and let your worries fade for a while. When you take time to recharge, you’re better equipped to handle all that life throws at you and then some. From quaint small towns to quiet nature preserves, this country is full of places to escape to, and we’ve chosen our favorite in each state, highlighting the perfectly restful things to do there. So, sit back, relax, and start dreaming of better times ahead—these calm places are calling your name. Despite its name, there is nothing but bliss on a trip to this secluded spot. Spend time in Little River Canyon National Preserve hiking through the gorgeous foliage and listening to the sounds of nature undisturbed. Nearby Lookout Mountain and Manitou Cave are perfect places to gain some peace of mind. Step back in time for a fine dinner at Vintage 1889, a romantic restaurant set in a former mill. Sit in the courtyard area for an enchanted evening. Talk about a great place to get away from it all—Tok is located on the border of the remote Canadian Yukon territory. A seriously secluded getaway within sight of Denali, it’s home to hiking trails for summer travelers and snowy sights in the winter. September through April is prime aurora borealis viewing season, and Tok has almost no light pollution to muddy your view. Relish the daylight hours at Tetlin National Wildlife Refuge located approximately 56 miles southeast in Northway. There you can channel your inner calm communing with the area’s wildlife population, from elegant caribou to darling waterfowl. Located within the Navajo Nation, Monument Valley is exactly what you picture when the Southwestern landscape is mentioned. Beautiful buttes stand tall along the red-earth desert. Take a tour with a local Navajo guide to places that are otherwise not accessible to visitors, like the unique Ear of the Wind formation. You’ll hear stories of the valley’s mystical origins as you explore. If you find yourself wanting to take the feeling home with you, we can relate. At least you can bring home a reminder; the View Hotel has a trading post outfitted with handmade Native art, jewelry, and housewares. Local artists can be found selling and crafting their work around town as well. Let healing waters surround you in Hot Springs, where Bathhouse Row presents top soaking spots like Buckstaff Bathhouse and Quapaw Baths and Spa. Tour the historic Fordyce Bathhouse and other historical spas to learn all about the city’s natural wonder and the ways people have benefited from healing mineral waters throughout history. After a warm dip, take a relaxing hike along one of the many winding walking trails. There is an undeniable healing presence in the still mountains surrounding Southern California’s desert, and when the warm winds start blowing, you can almost hear your mind relax and your body uncoil. 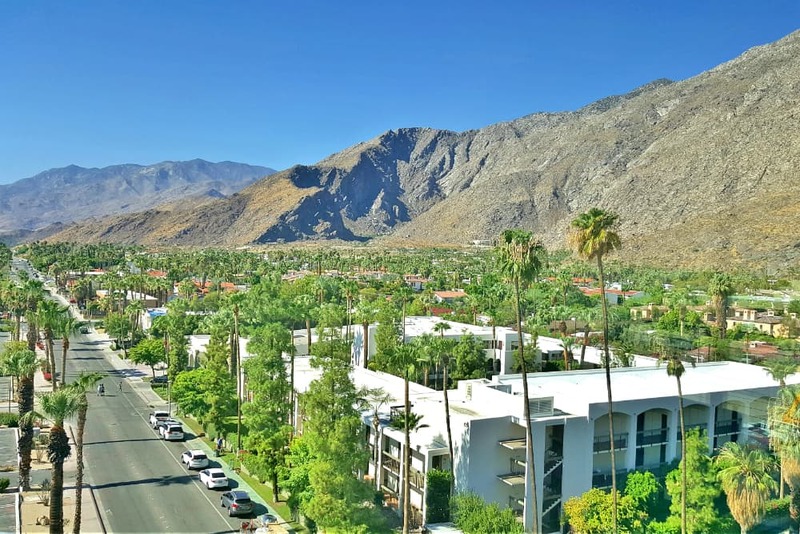 Really, Palm Springs is full of things to do for every traveler. For casual vacationers, this is a place to unwind by the pool and in the spa, like the Palm Mountain Resort and Spa or Palm Springs Yacht Club. For mystics, this is a place to get away from the distractions of urban life and encounter the metaphysical. Experience a spiritual tune-up at the Integratron in nearby Landers. The stunning domed building, built on the site of a geomagnetic vortex, is used for rejuvenating sound baths that will leave you with a sense of peace.For health and wellness travelers, California is one of the best states to visit. Located among the state’s tallest mountains—more than a dozen over 14,000 feet, known as the 14ers—Salida is magnificent. Hike or ski at the famous Monarch Mountain to feel the wind in your hair and the world at your back. A lively art community with more than a dozen galleries and studios, the quaint downtown area puts on the annual Salida Art Walk each summer. Take a heated hiatus in the Salida Hot Springs, the largest indoor natural springs pool in the U.S. Sate your appetite while you relax in the casual atmosphere of Boathouse Cantina, located right on the sparkling downtown waterfront. The eats are serious business, so let hunger take a recess for a while. Though it’s the capital city, Dover (and its surrounds) offers plenty of opportunities to leave your worries behind. Little Creek Wildlife Area is located directly east of Dover, hugging the coast. Here you can find quiet moments to birdwatch and catch a glimpse of the graceful waterfowl. Silver Lake Park is also peaceful, lush, and a great place to take a meditative walk along the trails, or to cast a fishing line into the still water. Pickering Beach is another great place to stroll and reflect. Stop for a spot of tea or a full tea service at Tea for Two, a lovely English tea house set in one of Dover’s historical painted lady houses, where menu options are whimsically named after “Gone with the Wind” characters. A strong argument can be made that the best places to get away from it all are warm, inviting beaches. Pompano Beach has a secluded vibe while boasting sparkling beaches that are close to the small city center. It’s exceedingly vacation-ready, but free from major crowds. See how chill this community can be when you join the sangha of Broward Zen Group for meditation. For personal quiet contemplation, walk to the Hillsboro Inlet Light at sunset while the bright colors reflect in the lighthouse glass. The area also comprises 50 parks, so there is no shortage of greenspace to claim as yours for an afternoon. Named after the Blue Ridge Mountains, this area is incredibly scenic, and the natural beauty is well preserved and accessible. Take a ride on the Blue Ridge Scenic Railway, built in 1905, which starts at the downtown station and tours the region in relaxed, vintage style. Walk across or canoe under the Toccoa River Swinging Bridge—it’s 270 feet long and the longest swinging bridge east of the Mississippi River. Join an event, class, or workshop at Yoga and Wellness of Blue Ridge. The team there offers massage therapy as well, trained in Thai techniques. Don’t bother bringing your worries along, they won’t last long here. An upcountry town on the island of Maui with sweeping views of both the island and the Pacific Ocean, Kula is a prime spot to help erase stress. Indulge in a tour, then taste the freshness of a farm-to-table organic lunch at O’o Farm. Breathe in soothing lavender aromas at Ali’i Kula Lavender Farm, then gaze upon the world from atop Haleakala volcano a short drive away. Stroll through 8 acres of bliss at Kula Botanical Garden, taking in the array of colorful plants, rock formations, trees, and waterfalls. Salmon is a tiny city of just over 3,000 folks in the mountains of Idaho, and its River of No Return might come to embody your reluctance to go back to daily life once you’ve enjoyed its treasures. Sail down the Salmon River on a guided excursion with Solitude River Trips or stroll the picturesque grounds at the Sacajawea Interpretive, Cultural, and Educational Center. Cruise the Salmon River Scenic Byway and opt out of being the driver if you can—you won’t be able to keep your eyes on the road and off the foliage. Soak your cares away at the Goldbug Hot Springs, or get your om on at Peaceful Mountain Yoga. Known as the gateway to the Shawnee National Forest, the Makanda area is the right spot to lose yourself in nature. Explore over 4,000 acres of forest, bluffs, ponds, and streams at Giant City State Park. Then wind down with some wine along the Shawnee Hills Wine Trail, which boasts 11 award-winning wineries along a scenic highway. Art is a great healer, so bring some home with you from the Makanda Boardwalk, where local artists showcase their wares. Book a private cabin for the ultimate getaway, with jetted soaking tub and sweeping views. Camp out at Indiana Dunes State Park, where you can stretch out on the white-sand beach, hike the dunes, stroll through the black oak forest, and explore the button-bush marsh. If you’re more of an indoor lover, drink in nature’s beauty by booking a stay at At Home in the Woods Bed and Breakfast. Fawn over adorable native fauna as you relax in the outdoor hot tub, or snuggle up to your own wildlife in the dog-friendly room, the Denali Tree House. If there’s any hint of tension left, take the edge off with a glass of wine at Butler Winery, then transport to northern Italy by treating yourself to a quiet, authentic Italian dinner at Lucrezia Cafe. For something entirely different, try to escape, literally…from an escape room. Mission: Escape challenges your deductive abilities in a fun escape challenge. Seek transcendence at the Vedic Observatory, or treat yourself to a unique spa experience at The Raj, an ayurveda health spa that combines natural therapies, yoga, and other customized treatments to address myriad maladies. Unwind at the Seven Roses Inn, a historic main house and guest house with various types of rooms to suit your needs (our pick is The Lavender Attic Suite, with a spa-like bathroom and claw-foot tub). Escape to simpler times by visiting Maasdam Barns to learn about local draft horse history. Cook an outdoor meal and eat al fresco by the lake at Waterworks Park. El Dorado State Park, the largest state park in Kansas, is at your fingertips. The horse trails include hitching posts on the shoreline and campsites with corrals and other equestrian amenities. Explore the surrounding Flint Hills, the continent’s largest remaining tract of tallgrass, and let blankets of wildflowers envelope your senses. Rent a boat from Shady Creek to paddle away your stress in El Dorado, then toast to the simple life at the Walnut River Brewing Company. Escape into a sweeter world at The Sweet Mercantile chocolate shop. If you’ve felt like retreating to a dark cave recently, the Mammoth Cave Network, less than an hour outside of Elizabethtown, is your new happy place. It’s the largest known cave system in the world, and the best place to lose sight of reality for a little while. If you prefer to stay in the sunlight, explore the many GreenSpace Trails, or watch the ducks at Freeman Lake Park. Pack a picnic and enjoy the bench swing overlooking the lake at the Lincoln Heritage House, or escape to Country Girl at Heart Farm, just 30 minutes outside of town, where some rooms feature jetted tubs. Sip your blues away on the famed Kentucky Bourbon Trail; it’s an area rite of passage. Mandeville was made for slowing life down to a drawl. Located on the placid shores of Lake Pontchartrain, the town is the right setting for sailing off into the sunset, and Delaune Sailing Charters can help. Book a room overlooking the water at De La Bleau Bed and Breakfast, then pack a lunch and head to Northlake Nature Center. Find the pavilion overlooking the cypress swamp, and your only worry will be which beautiful view to take in first. Lazily lap along in a canoe, or join a guided kayak swamp tour with Canoe and Trail Adventures. Indulge in a rejuvenating massage or energy session at Aviva Massage & Well-Being and slip into a state that’s more comfortable. Known to be a peaceful place to rest and relax, Maine is full of idyllic and easygoing charm. Greenville is no exception. Between Moosehead Lake and Burnt Jacket Mountain, the area is full of places to plan a secret away or simply enjoy some quietude. If you want nature to awe you, head out on a moose-sighting journey with Special T Adventures, then retire to the comfort of a room at Greenville Inn of Moosehead Lake. The charming 1890 property has only 14 rooms, and the on-site library is where you can cozy up with a book and let the day fade away. Kent County is known for its beauty, and the people of Chestertown appreciate what it means to need some one-on-one time with nature. You’ll be welcomed with warmth at the Inn at Mitchell House, but you’ll also find yourself with plenty of Zen moments as you quietly explore the 12 acres of landscaped gardens, meadows and trees that surround this restored manor house. Escape to the high seas on the Schooner Sultana for a 2-hour tour. For a quiet afternoon, spend time appreciating the art at Carla Massoni Gallery. Pleasant days and serene evenings are a Chestertown guarantee. The word respite takes on new meaning at Blantyre in Lenox, where you can hike the 110 acres, swim in the outdoor heated pool, ice skate in the winter, or indulge in a half-day package at the Potting Shed Spa. Lose track of time at the Pleasant Valley Wildlife Sanctuary, where you can snowshoe in winter and enjoy the meadows and brooks in warmer months. If you’ve ever lost yourself in a book, escape to the world of Edith Wharton (the first woman to win a Pulitzer Prize) at her estate, The Mount, and imagine writing your own novel, with the beautiful house and grounds to inspire you. Detox and enjoy the farm-fresh food from the local Berkshire Grown movement, and settle into a vacation that’s blissfully detached from stress or strain. You may feel like a time traveler on Mackinac Island. As there are no automobiles (other than service trucks) on the island, the transportation of choice is a horse-drawn carriage. Or, you can take the reins and ride your own horse from Cindy’s Riding Stable, or take a bike and explore Mackinac Island State Park. Leave your diet a distant memory and indulge in some famous local fudge at Ryba’s. A peaceful afternoon among the butterflies at the Butterfly House will boost your spirits in summer, while cross country skiing is perfection in winter—the entire east half of the island is dedicated to the sport. Lakeshore claims the title of Minnesota’s Year Around Playground, and for outdoor enthusiasts especially, watch your worries melt away in this tranquil town. Meditate and explore at Fritz Loven Park, an 80-acre park with a playground, brook, wildlife, and trails for hiking, snowshoeing, or cross-country skiing. Stay at Lost Lake Lodge, an all-inclusive cabin resort with lake views and woodsy surroundings. Rent one of the resort’s paddle boards, kayaks, canoes, rowboats, or bicycles to explore Gull Lake and its shores. Make yourself at home at local favorite, Cowboy’s Restaurant, where you’ll find friendly staff and tasty meals. In fact, you’ll feel so welcome, you may be reluctant to leave. Relax your blues away in the place where blues music began. Visit the Delta Blues Museum, catch live music at Red’s, pay homage at the Muddy Waters’ Cabin, and check out the markers along the Mississippi Blues Trail. Take to the water in a kayak or canoe on the Lower Mississippi with Quapaw Canoe Company. Then take a literary journey and escape to Tennessee William’s world in the Clarksdale Historic District, which was the inspiration for his plays. For a unique experience that will introduce you to the local flavors and vibes, take a customized Delta Bohemian Tour, which is tailored to your specific interests. Try as you might, no visitor leaves Clarksdale still singin’ the blues. Life does not move fast in Shell Knob, and that is just what the doctor ordered. This is a place that encourages visitors to relax, slow down, and enjoy the pleasures of taking it easy. Admire the sweeping views of Table Rock Lake and cast a line at one of the best fishing spots in the U.S. Continue to breathe nature in on a hike through the woods of Pilot Knob Conservation Area—there’s a good chance you’ll have the trails all to yourself. Ease sore muscles with a massage in a treehouse at Stonewater Cove’s Treehouse Spa, where there’s also a meditation room. After these euphoria-inducing activities, a day on the town may seem downright bustling. Hunt for antique treasures at Red Barn and treat yourself to some sweets at Cup Cakes and Cream. This Old West town at the foot of the Beartooth Mountains is the perfect gateway to Yellowstone National Park, and one of the best places for adventure travel. From Red Lodge, you can take the scenic Beartooth Highway, which is often considered one of the most beautiful stretches of road in America. What better place for a solo road trip to escape your daily woes? At the summit, you’ll see alpine lakes, glacial cirques, and snow, even in summer. For a warmer weather quest, explore the local waterways with Adventure Whitewater. If winter sports are your ideal getaway activity, you’ll want to head to Red Lodge Mountain for skiing and snowboarding. Slow down in this small, quaint town, where you won’t deal with noise, traffic, or crowds. Take a walking tour with Walk Red Cloud to learn about the town’s history, and don’t leave without visiting the Willa Cather Foundation to learn about the important author. Unwind and practice your swing on the greens at the Red Cloud Golf Course, and forget about chain stores and coffee shops when you stop into Lizzy’s Boutique and Coffeehouse to shop and eat local. Located in the Truckee Meadows, Sparks is a wonderful spot for recreation and temporary retirement. Start your stay off right with a Stress Fix Body Massage or a Chakra Balancing Massage at Shine Aveda Concept Salon Spa. Join a meditation circle, retreat, or yoga class at The Yoga Pearl to achieve a tuned-in but blissed-out state of mind. Take your newfound sunny outlook out for a whirl at Revision Brewing Company or Seven Troughs Distillery. In the morning, unplug further and venture around Sparks Marina Park , where a lake, beaches, trees, and walking paths await. Spoil yourself with a pampering trip to Jefferson. Start it off by becoming one with nature at the Pondicherry Wildlife Refuge, where ponds, wetlands, and forests are primed for exploration. Challenge yourself to a hike on Caps Ridge Trail and be rewarded with sweeping views in every direction. If you like things more manicured, practice golf at the state’s oldest golf course, Waumbek Country Club or spoil yourself with a scrub or wrap at the Spa and Wellness Center at Carlisle Place. No matter your activities, start your days off right and warm with a stack of pancakes and real maple syrup at Water Wheel Breakfast. If perusing the treasures of the past is your idea of perfect escapism, get thee to Lambertville. An artsy Victorian community with galleries and antique shops, it’s sometimes called the Antiques Capital of New Jersey. You’re sure to find some treasures at the Golden Nugget Antique Flea Market, and you may score something more contemporary at one of the many galleries like Highland Arts Gallery. To rejuvenate your mind and body, indulge in a spa treatment at Zanya Spa Salon and find your flow at a RiverFlow Yoga session. Ease into evenings at Lambertville Station while sipping a glass of wine and looking out over the Delaware River. This small mountain community takes its name from a term meaning “covered in clouds,” and you’ll be on cloud nine with a much-needed break here. With a quaint downtown, Cloudcroft (and the surrounding area) are greener than most places in the state, and organizations like Rails to Trails are helping optimize the beauty of the intricate abandoned rail lines that disappear into lush green forests. Repurposed as running and activity trails, they are serene spaces to hike and run. Collect your own bowl of cherries in the u-pick summer fields at Cadwallader Mountain Farms and Orchard, or cozy up at the Lodge Resort and Spa at Cloudcroft any time of year. Stretch, breathe, and release at Instant Karma with a yoga session with a holistic approach. Sixty-two percent of the town is state forest preserve, so nature stretches out before you around almost every turn. The slopes of Whiteface Mountain are exhilarating year-round, from downhill skiing to scenic drives. Welcoming and woodsy, Adirondack Spruce Lodge at the base of Whiteface sets the scene for a real mountain retreat. The goal of a successful escape is return feeling renewed, and River Stone Wellness Center is there to help with services ranging from art classes to acupuncture to massage. Historic, artsy, and rural enough to offer sanctuary from the pressures of everyday life, Tryonwas the first village located on the rise to the Blue Mountains. Don’t forget to say “hi” to town mascot Morris the Horse when you arrive. Fans of all things equestrian will relish a tranquil moonlight ride with FENCE Equestrian Center. Views, vines, and vintages, the three V’s of a good vacation, are on yours at Mountain Brook Vineyards. They welcome walk-ins, so be spontaneous or plan ahead; either way, don’t skip it. Nearby Pearson’s Falls is a misty wonderland of greenery, where 268 acres of mosses, trees, granite, and spring-fed streams provide both a backdrop and soundtrack to a burden-free day. Bordered by the Yellowstone River, Lake Sakakawea, the Missouri River, and the Little Missouri River, this area in the far west of the state is good for getting away from it all. Badlands, grasslands, and rolling fields beg exploration. Home to Theodore Roosevelt National Park, full of Great Plains wildlife and historical attractions such as the Maltese Cross Cabin, it’s also a prime spot for back country hiking, horseback riding, and stargazing (including opportunities to spot the aurora borealis). In Amish Country, many quaint villages dot the landscape and outdoor activities are abundant. Take a living history tour and a boat ride on the canal in Historic Roscoe Village, where charming festivals fill the calendar throughout the year. In autumn, experience the Annual Apple Butter Stirrin’ Festival or stroll the paths of the gardens of Roscoe in spring or summer. Enjoy life’s simpler pleasures and splurge on handmade goods such as Walnut Creek Cheese and Schrock’s Heritage Furniture. Slow-cooked meals made from scratch are a way of life here, and you can savor the real deal at Mrs. Yoder’s Kitchen. No matter how good the food, Amish Country will feed your love of the little things more, and may reset your clock in ways you didn’t expect. Sand Springs is a charming town that serves as a wonderful home base for travelers in search of wildlife. In the nearby Keystone Ancient Forest, you can spy many species, including deer, bobcats, eagles, mountain lions, and more than 80 kinds of butterfly. Plus, if you want to know just which animal you’ve spotted in the distance, trail guides are often on-site to answer questions or lead hikes. Its 1,360 acres are well worth exploring, and the Nature Conservancy lists it as one of the last great places on earth. After your forest excursion, take to the waters on Keystone Lake or Shell Lake, both of which provide great fishing and boating. Between the Pacific Ocean and the Siuslaw National Forest, this small village is full of wonderful things to do. From forest paths to tide pools, nature beckons with a bounty of beauty. River meets ocean at Yachats State Recreation Area, and the scenic overlook offers impressive views. The Overleaf Lodge and Spa will welcome you with ocean view rooms, an on-site wine cove, spa services with stress-fix massages, and hand-packed “picnics by the sea.” Yachats Brewing + Farmstore is the perfect stop for delicious local foods and brews, where you can also find treasures to take home (our pick is a bottle of the Salal Sour). You’ll find some of the prettiest country in Clearfield County, and plenty of places to escape. Forests, rocks, lakes, and rolling hills surround two cozy towns perfect for settling in after outdoor exploring. Climb the passageways and nooks of Bilger’s Rocks then head 11 miles east to Clearfield, where you can reward yourself with sips at Wapiti Ridge Wine Cellars and a good night’s rest at a local inn. Or, hike in the massive Quehanna Wild Area, and don’t forget your camera. Waterfalls, rivers, scenic byways, and tree-lined trails beg to be photographed. Take some personal space among the trees and wildlife at Moshannon State Forest or splash in the waters of Treasure Lake. This region encompasses four islands, including remote and beautiful Prudence Island, which is mainly reached only by ferry. If you’re looking to leave it all behind, Prudence is for you. Aquidneck is where you will find the most activity, though don’t fear—the pace is nice and chill. Spend a lovely, thoughtful day amongst towering yet playful figures in the Green Animals Topiary Garden. Don’t spend all your time on dry land, however. Portsmouth is the home of the National Women’s Sailing Association, and water sports like fishing and sailing are tailor-made ways to relax here. Clemson is a lovely town in the foothills of the Blue Ridge Mountains. Many area parks, including the Chau Ram County Park offer ample opportunities to commune with nature. The 40-foot falls alone are worth a trek to this lush space. History and nature meet here; you can tour historical homes like the Ballinger house, museums like the Bob Campbell Geology Museum, forests, farms, parks, and arts centers. Not only will you not run out of things to do, but everything moves at a pace to suit a leisurely lifestyle. When it comes to leaving the chaotic life behind, some places are undeniably the right place to be. The people of Garretson know the joys of exploring nature to its fullest, but know when to put their feet up and enjoy peace and quiet, too. On the nature front, Split Rock Park features quartzite rock formations and fishing, boating, and hiking possibilities. The impressive Devil’s Gulch has a colorful history, and Palisades State Park is a visual delight. For a night you will treasure in memory, take to the skies at nearby Strawbale Winery for their Twilight Flights in December and February. The evening starts with wine and hor d’oeuvres, and ends with a helicopter tour over downtown Sioux Falls. A quintessential small college town, the campus is beautiful and the grounds and Hogwarts-like library are perfect places to get lost in thought. Hike the Natural Bridge Trail and admire the natural sandstone arch as you breathe in fresh forest air. A lovely walk in Sewanee Village will take you past shops like the Lemon Fair and favorite community meeting spots like the Blue Chair Café and Tavern. Stay at the Sewanee Inn, where the impressive lobby and inviting rooms provide another layer of respite to this already serene getaway. Known for super dark, starry skies (the darkest in the lower 48 states, to be precise), the Big Bend area is equally appealing during the day. Big Bend National Park is the stand-out attraction, where you can lose yourself, your worries, and your desire to ever leave among the rivers and trees. Speaking of never wanting to leave, the Gage Hotel Spa offers so many relaxing treatments, including a full day service, they may have to drag you away when it comes time to go home. Before the inevitable departure, make the most of your time and stock up on delicious bites at the French Grocer for a private picnic or in-room meal. Boasting some of the best spas in the state, St. George is an ideal place for some serious R&R. Try Amira Resort & Spa for the height of luxury pampering and St. George Day Spa for packages that are vacations in themselves. That being said, serious outdoor adventurers will find endless opportunity to explore, discover, and connect to nature. A canyoneering excursion with Paragon Adventures offers one of the best ways to experience the still seclusion of slot canyons. If possible, plan for a long stay in St. George; the surrounding nature will keep you engaged, and the spas will keep you well at ease. A relaxed getaway through all four seasons, this charming town is also the gateway to the Green Mountains. Moosalamoo National Recreation Area has provided solitude and inspiration to the likes of Robert Frost, who had a home on the northern side that you can still visit. Forests, waterfalls, lakes, and streams—what’s not to love about this inviting, secluded, and serene haven? The walkable downtown of Brandon takes life at its own pace. Case in point, the charming Woods Market Garden, which carries over 50 delicious kinds of fresh produce during the season. Wooded parks, scenic trails, residential quiet, and historical activities lend McLean its appeal, especially for those looking to escape the D.C. hustle. Let the white noise of the rushing Potomac River lull you into carefree contentment in Great Falls Park. Prefer a little adventure? Hiking, climbing, and kayaking are great ways to explore these great falls. Step back in time at Claude Moore Colonial Farm, which gives visitors a unique insight into pre-Revolutionary War farm life. Stay in the present, but let your senses be transported, at the Ritz-Carlton Tysons Corner Spa with its nature-inspired treatments. Forget the wet west; this eastern Washington town is the perfect spot to dry off, cozy up, and take a load off. Space out at Goldendale Observatory, one of the few official Dark Sky Parks on the planet. A one- to three-hour show includes on-hand experts and the rare opportunity to view the stars through one of the biggest public telescopes in the world. For a spirited cultural excursion with stunning views, visit Maryhill Winery. It’s remote enough to be low-traffic while offering the height of what wine tasting should be: relaxed, delicious, informative, unforgettable. On the banks of the Ohio River, this town is surrounded by ancient mysteries and mystical energies. The burial mound, which the town is built around and takes its name for, was a ceremonial site for the Native Adena culture around 250 to 150 BC. Today, pilgrims of the Hare Krishna Movement as well as curious visitors make their way to the New Vrindaban temple to meditate in the serene atmosphere and tour breathtaking structures like the Palace of Gold. Every year, the Mystic Valley Festival is a place for event-goers to unwind, soak in good vibes, and listen to right-on jams. Superior takes its name from more than the Great Lake; it truly is one of the most beautiful spots in the state. Of course, the lake has a little something thing to do with that. Its sheer size—Lake Superior is the largest freshwater lake by surface area in the world—makes it easy to find some alone time to boat, fish, or enjoy the scenery. Pattison State Park is a serene spot nearby to view waterfalls and immerse yourself in nature. Walk along Wisconsin Point for views of the lighthouse and bird watching, and visit in the colder months for the ultimate winter wonderland. An Old West town where you may feel like you’ve stepped out of the real world and into Westworld, Dubois will cure your frontier fever and fulfill your Wild West daydreams. First things first, you’ll need a trusty steed, and establishments like Bitterroot Ranch can deliver rugged and unforgettable experiences through expert-guided pack trips. For the softer side of camp life, come for their annual summer yoga and horseback riding retreat. In winter, Dubois is primed for Nordic skiing and snowshoeing, while hiking and kayaking are the perfect ways to while away the warmer months. Tell us your favorite places to escape to! © Copyright 2018 SurvivaGuard | All Rights Reserved | Developed by Web Wizards USA Website development company in USA.